Well placed for anyone who works in London, Battersea Power Station’s new properties are promoted as great investment properties to overseas buyers. However, due to various global factors like oil prices, currency exchange rates, slow economic growth and UK tax hikes, buyer numbers have fallen steeply. Since it was decommissioned in 1983, the Grade I Listed Battersea Power Station has seen many abortive attempts to make use of the site. Firstly, it was going to be a theme park by the owners of Alton Towers, but that stalled and plans were made for shops, offices and a hotel, although no work was done. In 1993, Hong Kong based Parkview International bought it with plans to develop the site into an entertainment venue, with a cinema, nightclubs and a shopping centre. There was fierce opposition locally, and it wasn’t enacted. Real Estate Opportunities bought the site in 2006 with ideas of creating a bio-mass generator, eco-dome, and Underground Station, along with building other more usual facilities. This collapsed financially. The administrators were approached with a proposal for an urban park area, with housing to follow, but they rejected the idea. Currently, a Malaysian consortium is building a luxury housing development, having bought the 39 acre site in 2012 for £400m. To date, 1,500 luxury apartments have been sold at the development, and according to Battersea Power Station Estates which are the re-sale agents, only 10% have been re-sold, and they were (on average) 30% higher than the bought price. However, there have been examples of price falls: a 4 bedroom town house now has an asking price of £4m – 38% less than it was bought for in July 2015 – and a 1 bedroom flat has had its asking price reduced 4 times since April 2015, and is now £600k. The cheapest property currently is a studio flat for £435k. Demand for the top-of-the-range properties has fallen, causing concern amongst London property experts. Some of the proposed apartments which have been contracted to Chinese buyers, have had deposits paid even though the buildings are not yet in existence. Some of these investors have cancelled their off-plan purchases, thus forfeiting their deposits, due to worries about price crashes in London. There is the added issue of the 3% extra tax payable (from April 2016) when buying a second property – even if your first property is abroad – and uncertainty about the EU referendum. Drops in asking prices are also an inevitable result of over-supply – there are over 54,000 properties worth over £1m, in the process of being built in London. It’s not all bad news though. An anonymous Middle eastern buyer has purchased the entire top floor of 11 penthouse suites worth over £20m, with the intention of knocking them into one residence. Whoever that is – and the Battersea Power Station Development Company (BPSDC) are being tight-lipped about who it might be – obviously doesn’t have any worries about London property at all! LATEST NEWS. The hotel part of the development has now been dropped in favour of 300 apartments, and fewer 4 bedroom apartments are being created, to allow an extra 109 homes to be built. 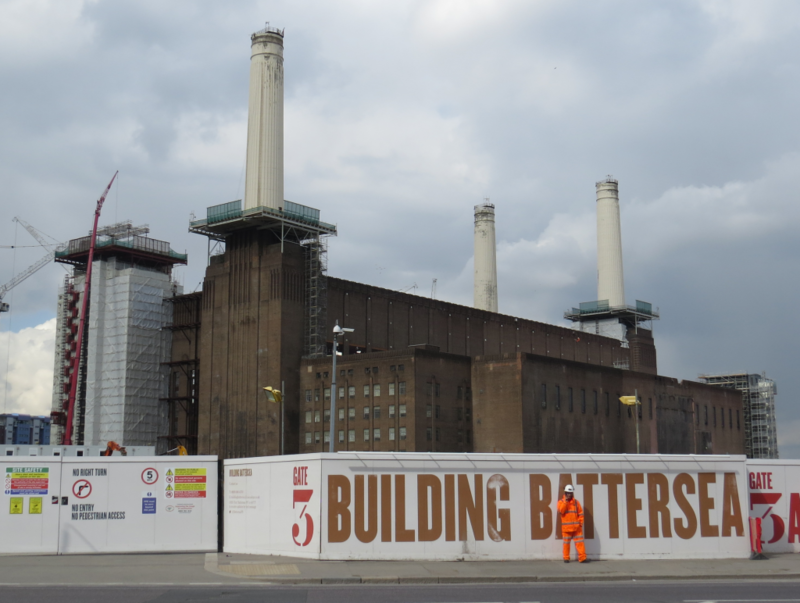 BPSDC say that the “aspiration is to provide more homes at appropriate sizes at Battersea Power Station, which in turn will seek to make homes at the site accessible to more people.